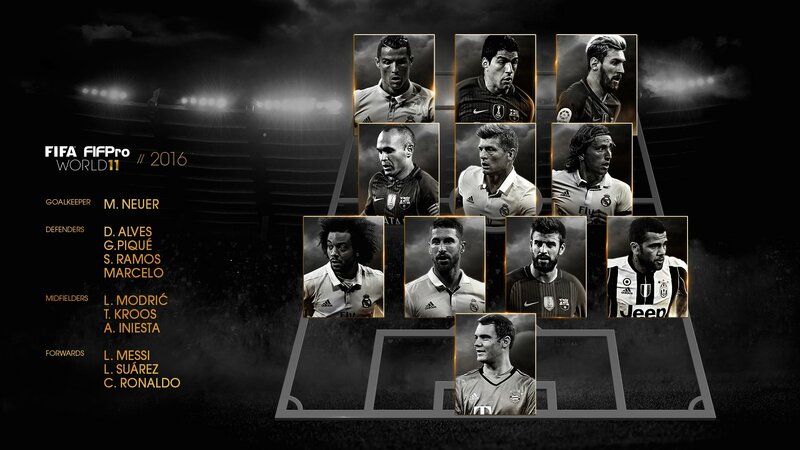 Best Players of the year has been announced by FIFPro. At the same time the full FIFA 17 TOTY squad for FUT 17 has officially been revealed! 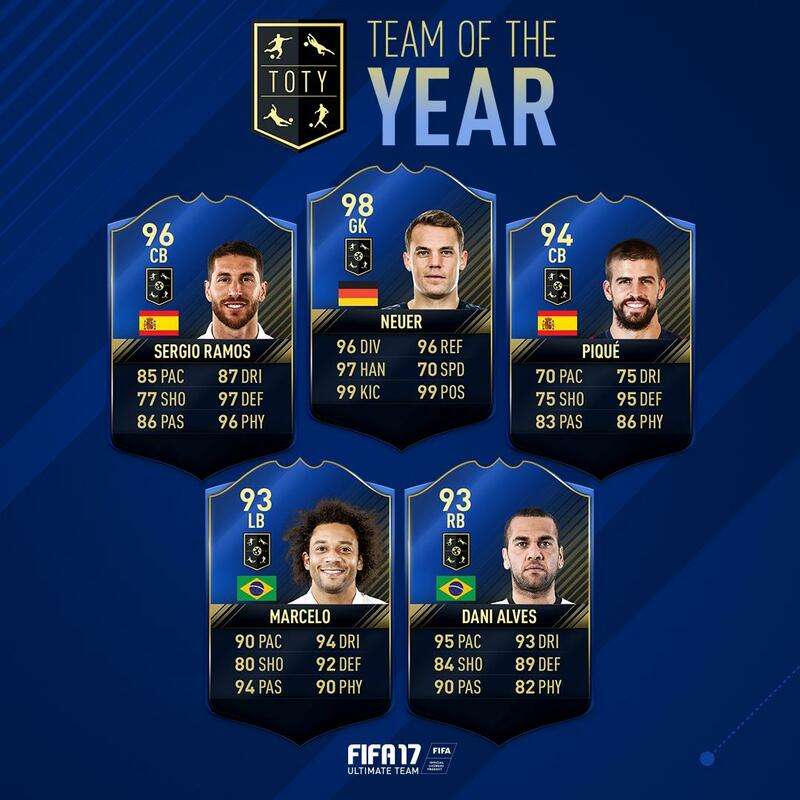 TOTY Forwards are now available in FIFA packs. 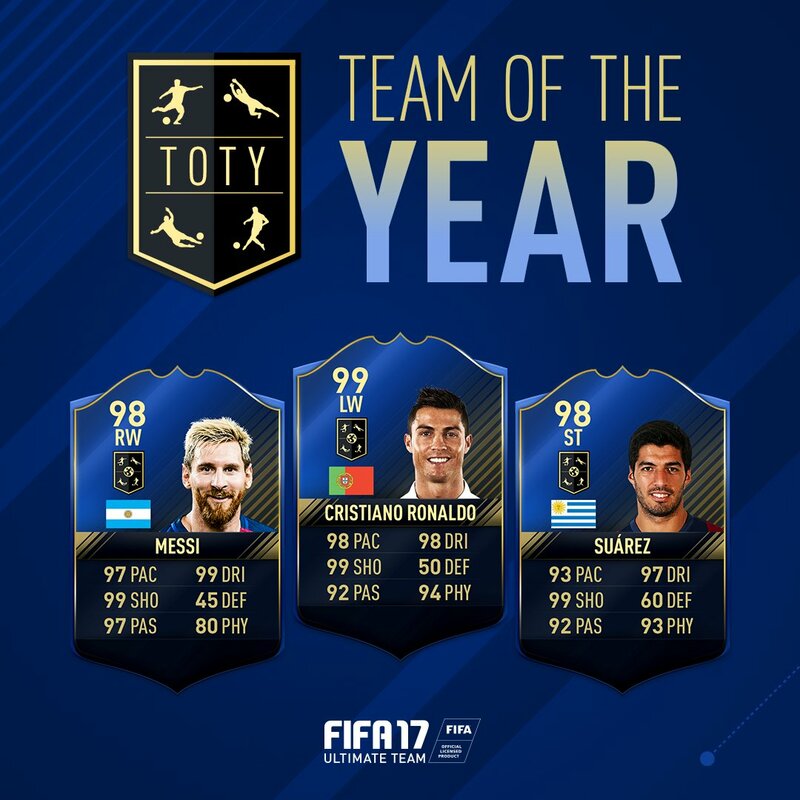 All TOTY cards will be out on 14th January 2017. Let us look at official FIFA 17 TOTY squad below. 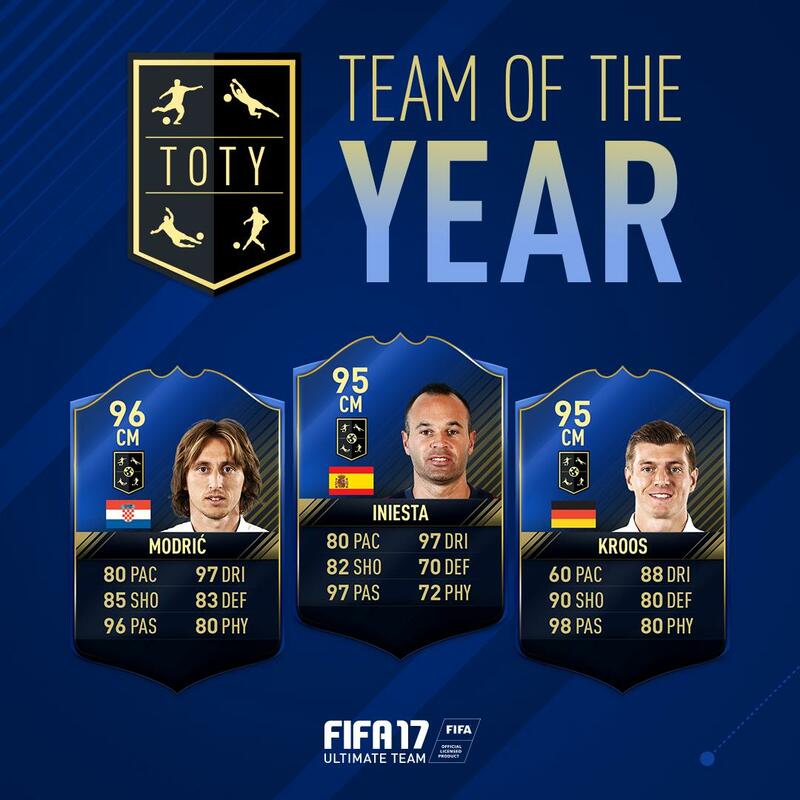 What do you think of FIFA 17 TOTY squad this year? Let us know in the comments below! EA Sports has revealed their first Team of the Group Stage squad for FIFA 17 on Friday December 9th, 2016. 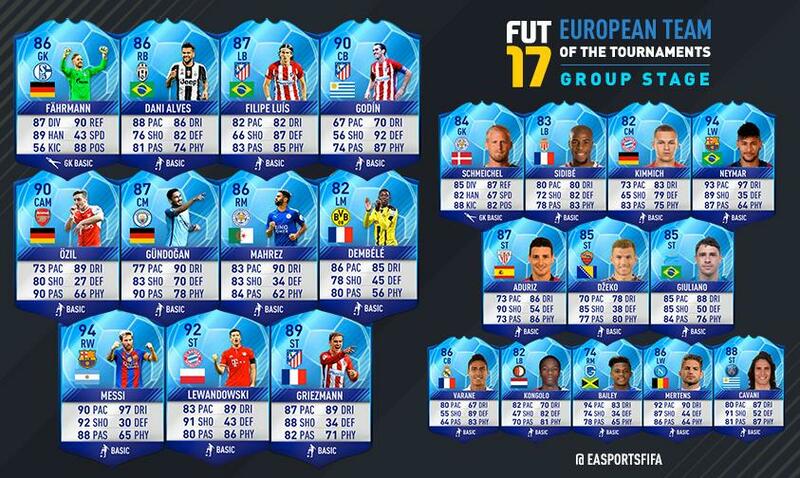 The FIFA 17 TOTGS (Team of the Champions League Group Stage) is a selection of the most in form players on this competition. 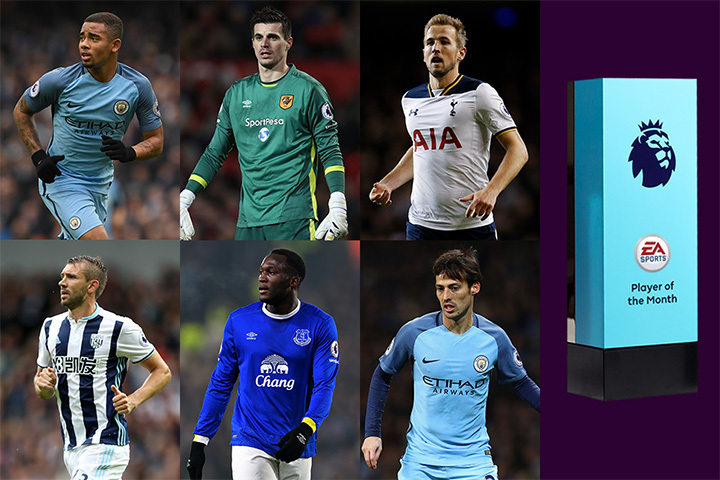 These players are available by chance when opening FIFA Ultimate Team Packs until 16/12/2016, 6pm UK, one whole week! FIFA and the worldwide players’union, FIFpro have released the 55-player shortlist for the FIFA FIFPro World11 2016. 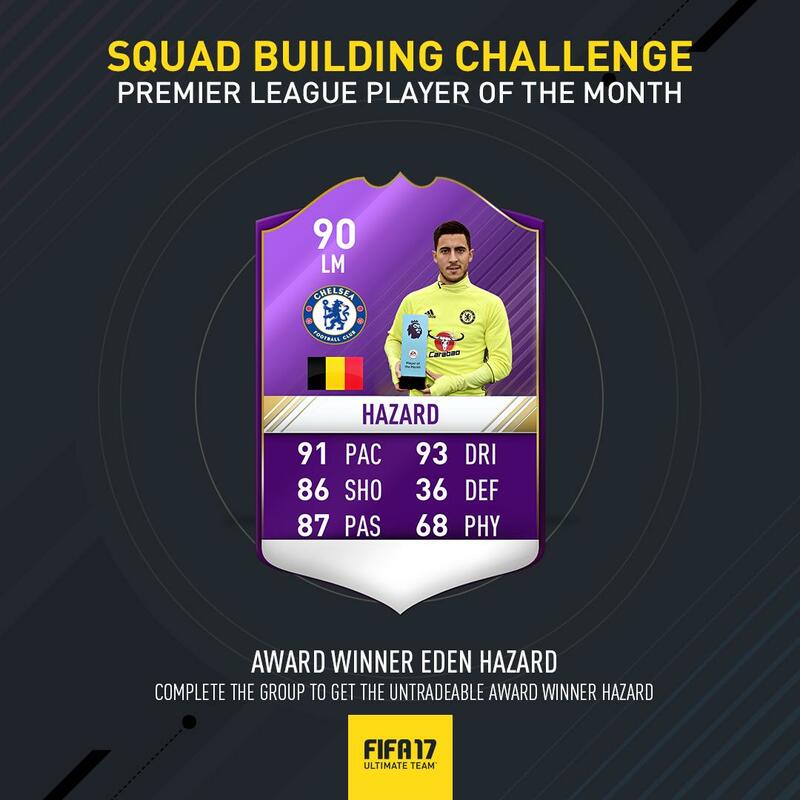 The highest rated cards of FIFA 17 Ultimate Team – FIFA 17 TOTY Cards are selected from the voting of FIFPro, who are the best players in the world. 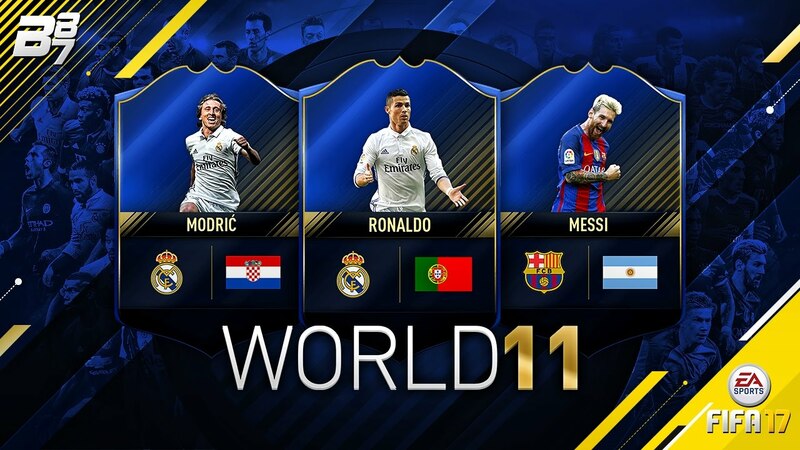 The final World 11 will be announced at The Best FIFA Football Awards ceremony at the Zurich TPC studios on 9 January 2017. FIFA 17 released worldwide last week, and with a new game comes updated rosters and ratings for every team and player in La Liga. A total of 32 players in the league have a launch-day rating of a 84 or higher (compared to 36 in the Premier League). Let’s check below. 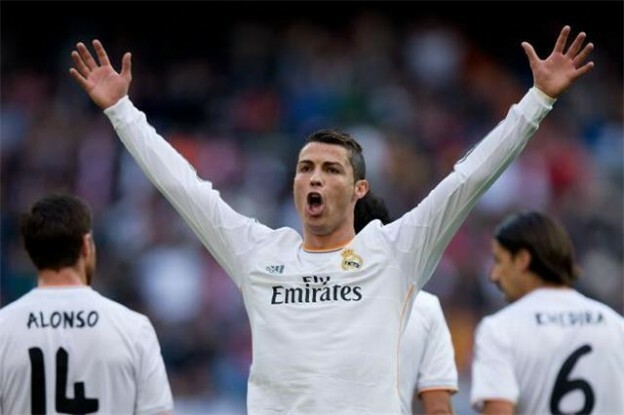 Of course, we’ve already known the top 20 La Liga players. What do you think of the rosters? 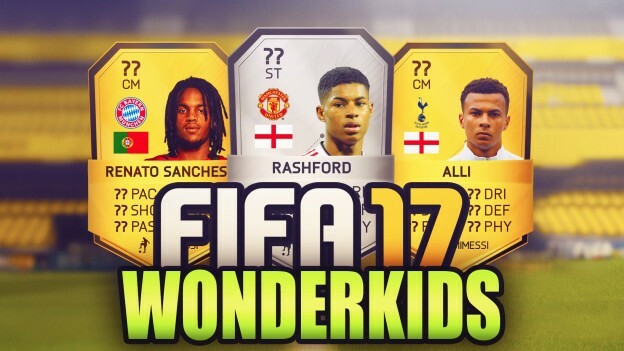 In this guide, we have covered some of the best young talents that you can find in FIFA 17, including defenders, midfielders, attackers and goalkeepers. His presence alone demands respect and his ability to organize a back four is something that cannot be neglected. Bellerin is arguably one of the best attacking-right-backs in the game and is closely observed by the likes of Barcelona. This defender from Chelsea has already proven himself as a decent player. It is only a matter of time before he comes out as a world-class centre-half as the time progresses. This man has absolutely been a beast against The Foxes and can easily throw off defenders with his incredible dribbling skills. Expect his passing and shooting to get a massive bump. You cannot go wrong with this man. This man has been consistent for a long time now – he cannot only throw defenders, but can also score. You can expect his shooting, passing, and dribbling to get a huge bump in the game. Alli is not only strong when it comes to tackle, but has a presence that demands respect, thanks to his ability to land crucial passes and score much-needed goals. This German midfielder has the ability to go hand-in-hand with some of the best young talent in the game. With a potential overall of 88, do not consider him any less than Dele Alli. This player has significantly improved his attacking and positioning over the course of time. Apart from that, he still boasts brilliant range and free kicks. These are thee three that you need in order to complete your front three line-up. There should not be any doubt regarding their individual skill level as they have proven from time to time. From pace to finishing to keeping your opponent guessing, the package is everything you need. When it comes to goalkeeping, there is hardly anyone who can come closer to Gianluigi Donnarumma. Despite his years, his talent precedes him and a potential of 88 is a proof of that. What do you think of these guys? Maybe you’ve got your ideas. You can share with us. 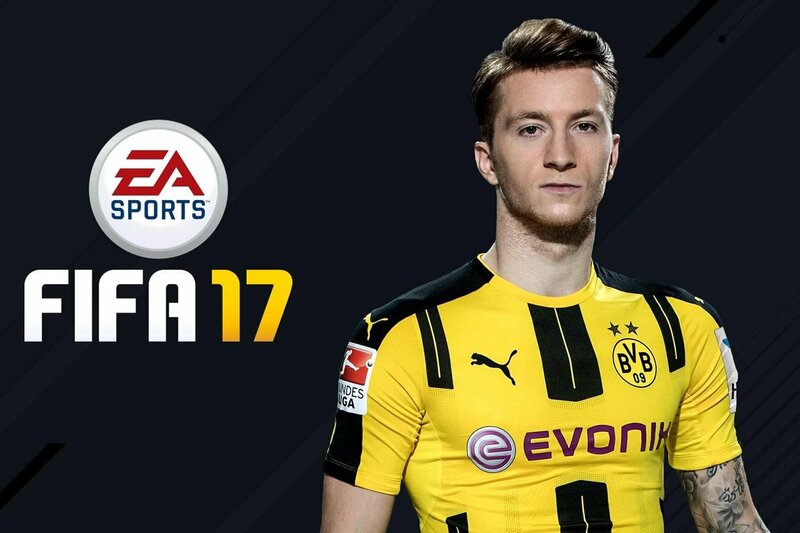 FIFA 17 is now available on PC, Xbox One, Playstation 4, Xbox 360, Playstation 3, Android, and iOS-based devices. FIFA 17 is nearly upon us and, with the release date only less than a week away, Swansea City fans buying the game will want to know how highly their side are rated coming in to the new season. Here are Swansea FIFA 17 Ratings according to wefut. 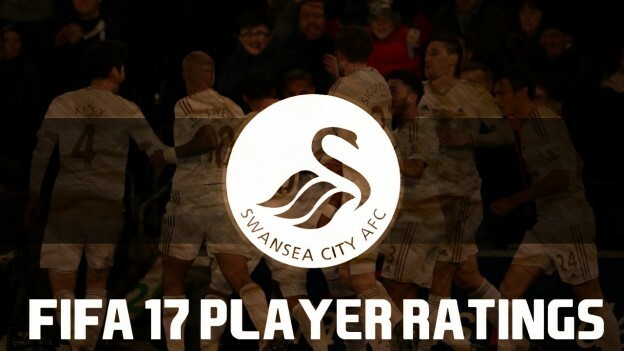 The list of Top 20 Swansea City (ranking from the last to the top). What do you think their ratings?